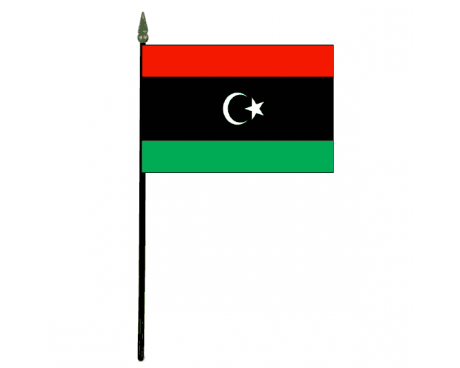 Libya Stick Flag - 4x6"
The current Libya flag was authorized for use in the aftermath of the Arab Spring, but the design is actually an old Libyan flag that had fallen out of use. It follows in the footsteps of a large number of historical flags, which range from the flags of colonial powers to symbols of Arab unity and local political movements. 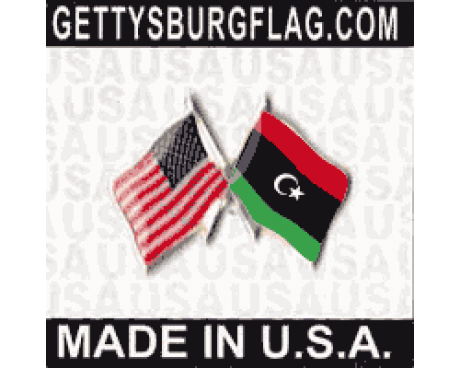 The Libya flag is a horizontal tricolor of red, black, and green. A white star and crescent emblem is placed in the center of the flag, both as a symbol of the nation's majority religion and Senussi flag, which was used during the nation's independence movement. 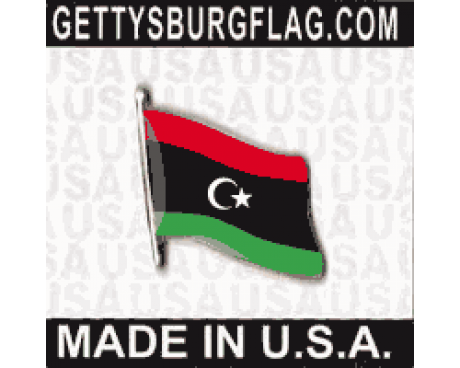 The flag's red stripe honors the blood that the people of Libya shed over the course of that independence movement, while the black stripe stands for the time that Libya spent under Italian occupation. The green stripe represents the nation's agricultural output and honors the country's historical role as the breadbasket of the Ottoman Empire. The color scheme bears some similarity to that of the Pan-Arab flag, which serves as a symbolic link between Libya and the other Arab nations of the region. The region that is now Libya was once part of the Ottoman Empire. The Ottoman flag represented it during that period, but it also had a flag of its own for internal use. That flag had a solid green field with three white crescents arranged in a triangle in the center of the flag. Control over Libya eventually passed to Italy, and the region adopted the Italian flag in 1934. It used that flag until it was occupied by the British Empire during the second world war. Libya used a red flag with a white star and crescent after it came under French administration near the end of the war, and a variant with a black field came into use near the end of that period. 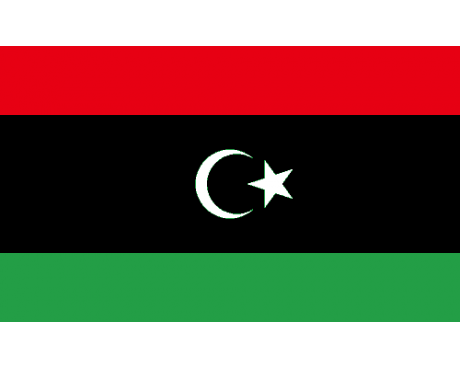 The modern flag of Libya finally came into use in when the nation gained full independence in 1951, but it was replaced with the Pan-Arab flag after a coup in 1969. The flag gained a golden eagle emblem in 1972, and was replaced entirely with a solid green flag in 1977. The old Libyan flag was readopted in 2011 and has been used ever since.